"An almost voyeuristic account of the process of turning invention into product, all of it recorded in intimate, soul-baring detail." "The early chapters of Code Name Ginger are rich with stories about Mr. Kamen's zany brilliance and showmanship." "A fascinating account of the messy process of innovation." "Transforms what could have been a dryly technical and arcane tale into one of delight and discovery." "A modern drama with a Shakespearean hero in the visionary inventor whose character flaws undermine his ultimate goal to – yes – change the world. . . . the book is also a thriller in the guise of a business book." "It's captivating to watch Kamen unleash his Thomas Edison-meets-P.T. Barnum shtick on the likes of investors Jeff Bezos, John Doerr, and Steve Jobs." "What really makes the book’s engine rev is the outsized personality of Dean Kamen, and the clash of titans that ensues when innovation rams straight into the bottom line." 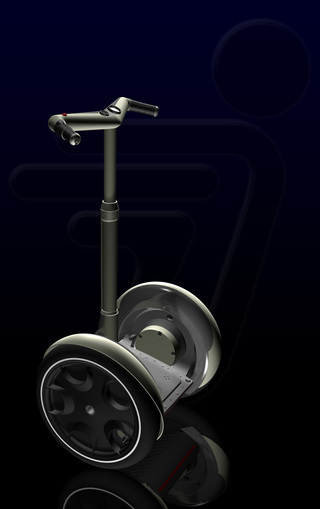 "Kemper is eventually tossed out of Kamen’s paradise of innovation prior to the Segway’s launch. But before he is expelled, we are treated to a page-turner." "An intense, highly readable book." "Ginger’s Jim Jones is Dean Kamen, a charismatic corporate showman straight out of central casting — it’s as if Steve Jobs and P.T. Barnum had been frappéed in a blender." "The book's portrayal of the passionate, eccentric subculture of engineering is fascinating." "A fascinating look at innovation, genius, control, and the clash of humans in a workplace." "What really comes through is the passion and energy of the people working on the project, the brilliance of its unconventional and visionary founder, and the ability of their product and their enthusiasm for it to make converts of even the most jaded businessmen." "The resulting book is, for one thing, a fascinating look at how a brand-new thing goes from flash of insight to factory assembly line. . . . Kemper's time with Kamen gave him rare detail for journalism like this." "It's a riveting book for me, as an entrepreneur, business person, and engineer." A Gripping Tale of High Finance, Ingenious Engineering, and Lofty Ambition. "It's an unusual occurrence for us to feature a business book in the Discover program, but Steve Kemper's riveting account of a modern-day invention offers a perfect segue between the history of an idea and great storytelling. It also provides irrefutable evidence to the contrary for those who think that tales of eccentric inventors can only be found in the pages of dusty history books. "Code Name Ginger is the enthralling story of Dean Kamen, a New Hampshire–based scientist who is equal parts Thomas Edison, Henry Ford, and P. T. Barnum. Kamen came to the attention of the general public when he was caught up in a maelstrom of publicity surrounding his top-secret invention. Known by the code name "Ginger" or the acronym IT, Kamen's work-in-progress was touted by technology gurus as the most seminal achievement since the introduction of the internal combustion engine. In fact, Kamen was developing a self-balancing, battery-powered human transporter with a long-range plan to change the future of urban transportation.